Looking to landscape around the house, possibly paving your courtyards, your patios, paths, a new entrance, or possibly pave around your pools. 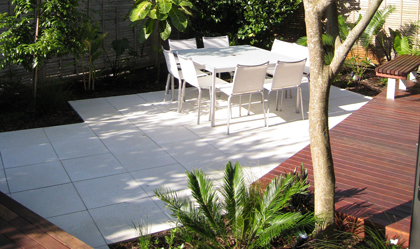 The Veneto domestic paving ranges are a superior, New Zealand made paving solution made to last. All Veneto paving is manufactured from Italian Chisea press and are manufactured complimentary matching bullnose paving for pool copings, steps treads and other feature areas. 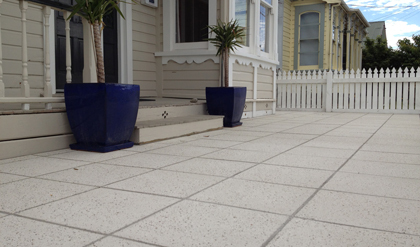 Veneto pavers are offered with two surface texture, The Terrazzo Veneto, a honed range of paving and the Pastelli Veneto, a shotblasted/etched non skid paving finish. Click below to read about your selected range. 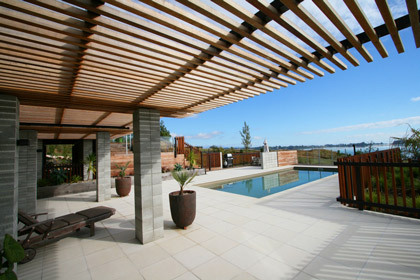 All Veneto pavers share a common bond, they are manufactured under a process of intense vibration in a 200 tonnes Italian Chisea hydraulic paving machine with high quality raw materials, this combination provides you a great looking, extremely dense product is with long life and resistant to fading.What should I use Veneto paving? 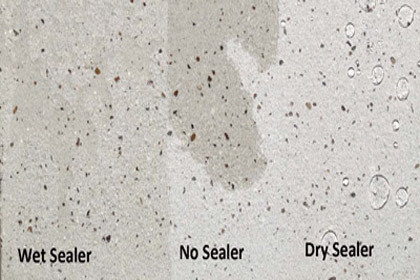 All you need to do is to choose a size and surface texture. The Veneto ranges are supplied all around New Zealand, from Invercargill to Far North. We call also assistance with a local recommended installer or designer.